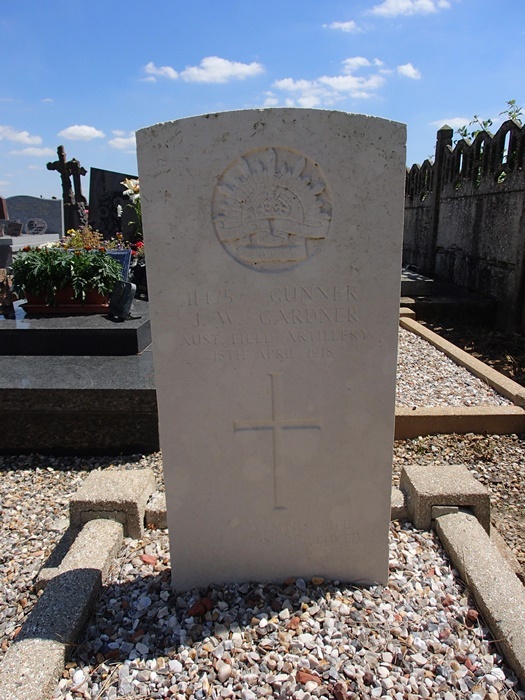 Franvillers is a village in the Department of the Somme, and stands on high ground above the River Ancre. It is on the D929 Amiens (19 kilometres) to Albert (10 kilometres) road. 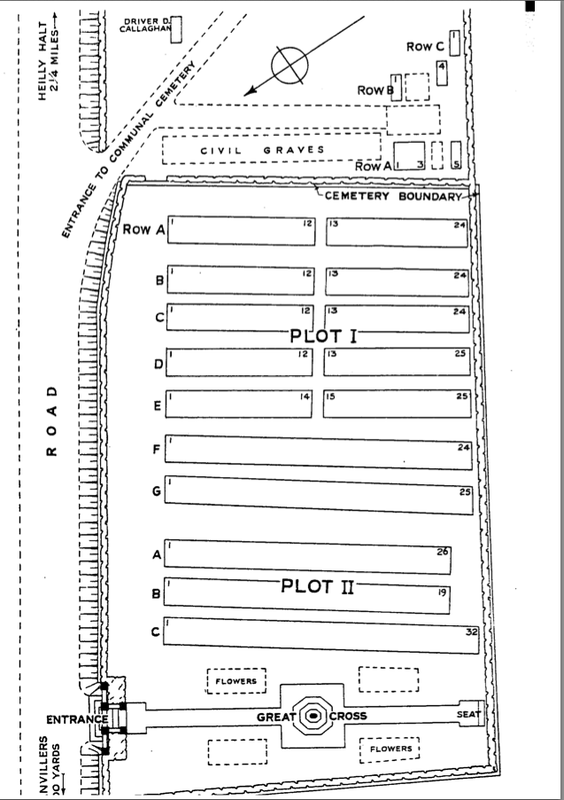 The Communal Cemetery and Extension is south-east of the village on the C201 road. 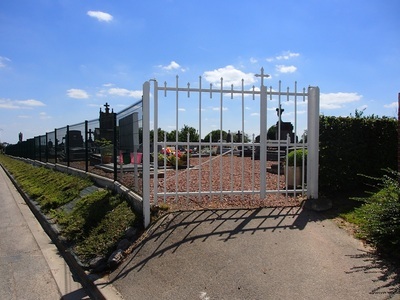 Wheelchair access to this cemetery with some difficulty. For further information regarding wheelchair access, please contact our Enquiries Section on 01628 507200. 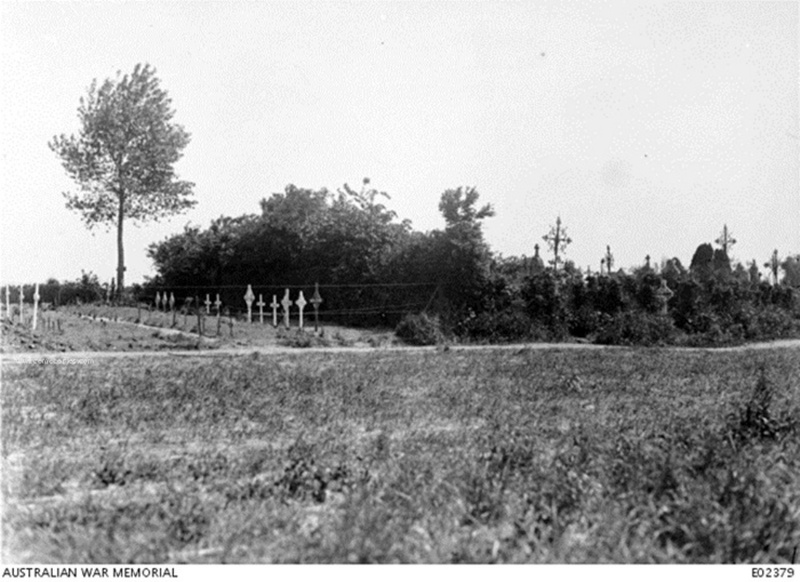 The COMMUNAL CEMETERY at Franvillers was used at intervals from May 1916 to May 1918. 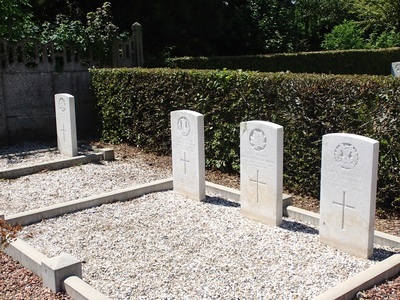 It contains eight Commonwealth burials of the First World War. The adjoining Franvillers Communal Cemetery Extension was used from April to August 1918 by units and field ambulances engaged in the defence of Amiens. 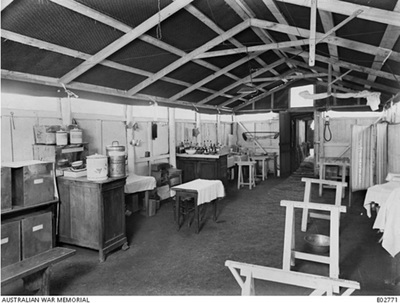 It contains 248 Commonwealth burials of the First World War and five German graves. 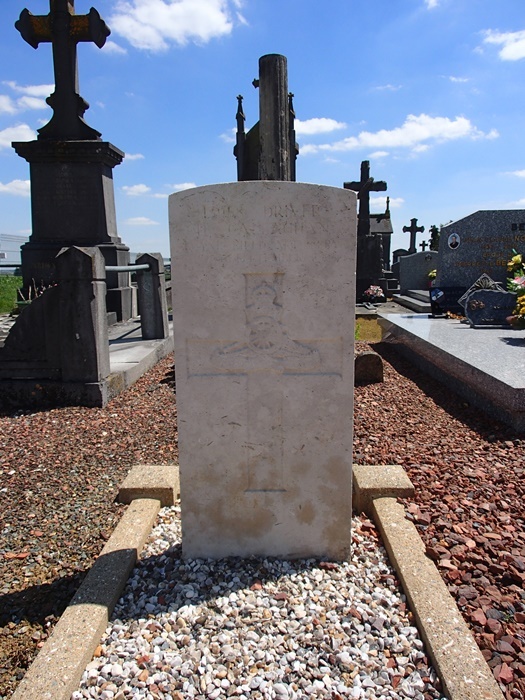 ​13958 Driver D. Callaghan, D. Battery, 15th Brigade, Royal Field Artillery, died 22nd September 1916. Second Lieutenant Albert Bruce Cosgrove, 22nd (Tyneside Scottish) Bn., Northumberland Fusiliers, died 31st May 1916, aged 24. 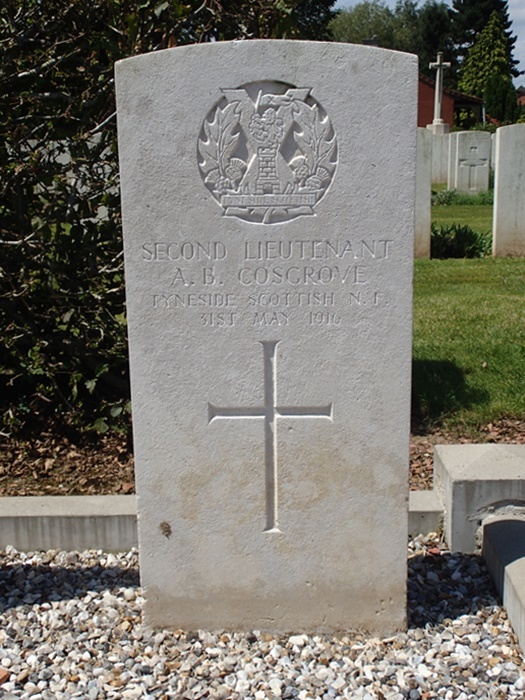 Son of John and Mary Elizabeth Cosgrove, of 15A, Old Elvet, Durham. 11475 Gunner Joseph William Gardner, 12th Battery, 4th Brigade, Australian Field Artillery, died 18th April 1918. Son of George and Frances Gardner; husband of Frances Mary Gardner, of 29, Perouse Rd., Randwick, Sydney, New South Wales. Native of Albury, New South Wales. 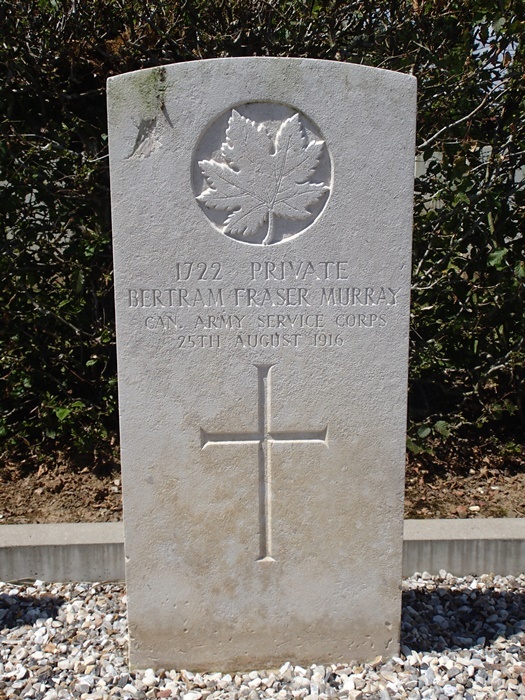 1722 Private Bertram Fraser Murray, 2nd Division Train, Canadian Army Service Corps, died 25th August 1916, aged 21. Son of John and Lavinia Savage Murray. Born at Pictou, Nova Scotia. 11533 Private James McGregor Rintoul, A Company, 6th Bn., Cameron Highlanders, died 15th November 1916, aged 28. 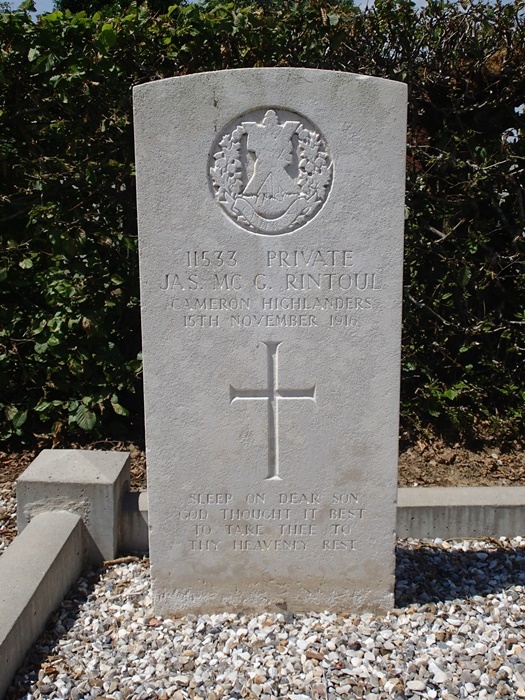 Son of James and Marion Rintoul, of 1, Knightswood Rows, Anniesland, Glasgow. 4241 Sergeant David Everet Thomsett, 25th Bn., Australian Infantry, A. I. F., died 9th April 1918, aged 23. 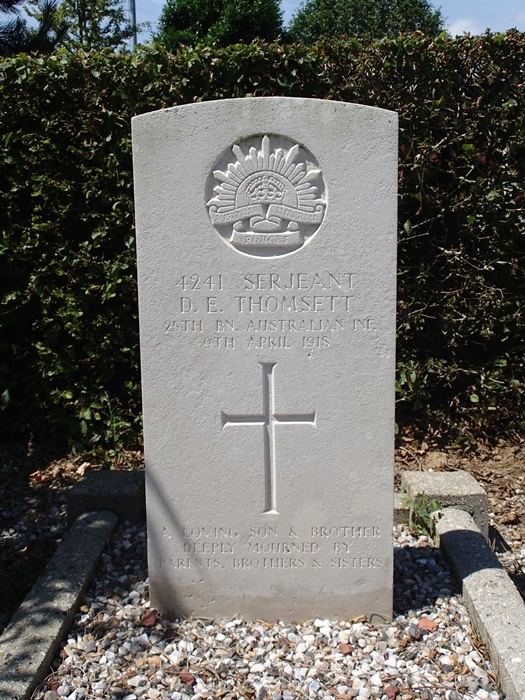 Son of Alfred George and Mary Thomsett, of Ferney Grove, Enoggera, Brisbane, Queensland. Native of Sandgate, Queensland. 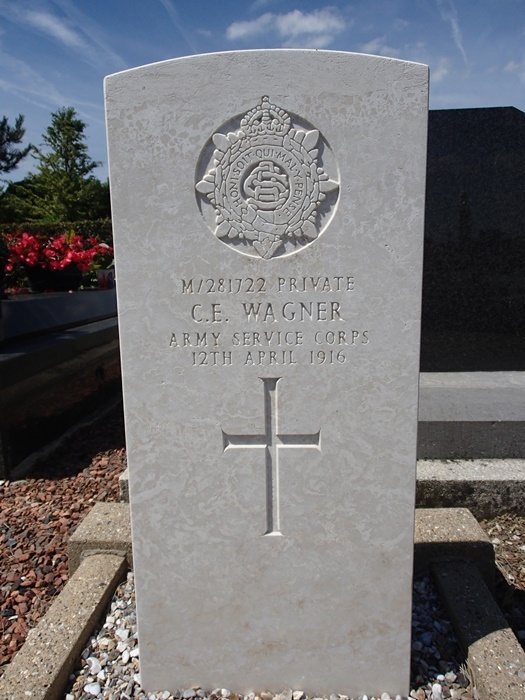 M/281722 C. E. Wagner, Mechanical Transport attd. "Q" A.A.B., Army Service Corps, died 12th April 1918. 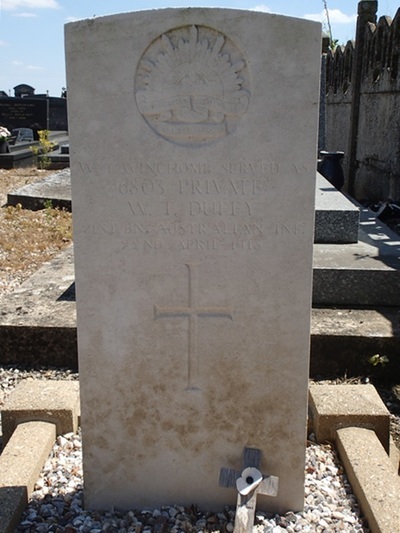 6803 Private William Frederick Winchcomb (Served as Private T. Duffy), 21st Bn., Australian Infantry, died 22nd April 1918.